As the summer season is approaching you will reach out to the nearest brand shops to purchase air conditioners, or might replace the old ones. But it is important to know these machines work and what has to be done in order to keep it maintained for a longer time. One of the parts of these air conditioners is condenser coils. Evaporator along with condenser coils for condensing units work together to cool your room. It is essential for people using air conditioners to know its functioning. An evaporator coil cannot function without a condenser coil to be able to complete the cooling cycle in the second half. It is of similar design like that of the indoor evaporator coil. However, it differs with the fact that the condenser coil releases heat outside the room. The condenser of air conditioners is confined in the large, square unit outside the room. 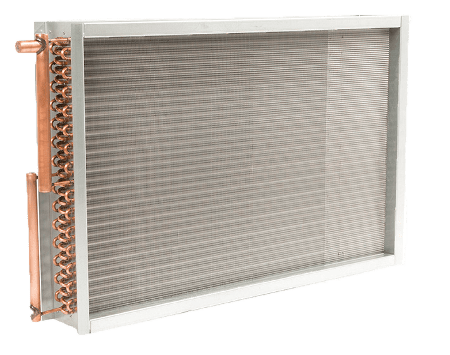 While the complete unit is known as the condenser unit, it usually contain components such as, the compressor, copper tubing and a fan, valves, switches, and condenser tubes and fins. When the refrigerant absorbs warm air from your room, it travels outside through condenser coils for condensing units. As the refrigerant releases the load of heat, a fan adjusted in the unit blows air through the passage of condenser coil and heat is circulated outdoor into the air. The gas flows into the condenser coils after leaving the compressor. At this point the refrigerant throws much of the warm air absorbed from the room. The fan located on upper side of the outdoor unit blows air over the coils of the condenser. This makes the refrigerant lose heat. As the refrigerant cools, it changes to a hot liquid from a hot gas. It then flows back from there via a tube, which is made of copper, into your room and then into the valve that is situated near the evaporator coil of the indoor unit. There are certain issues with the condenser coils. As it is placed outside your house, it remains exposed to dust and dirt. When the wind blows, huge amount of earthy elements and debris, such as grass clippings and fallen leaves accumulate into the coil surface. To maintain the efficiency of condenser coils for condensing units, a good way to do it is by turning off the power supply to the outdoor unit once in a year and washing the coil. On the other hand, the upper fan grille should be watched out for any kind of damage that could have appeared due to fallen limb or other bits and pieces. It is important to keep an open space on all side of the outdoor condenser unit to let it get the free flow of air into the vents of coil intake. So, if you have any vegetation encroaching towards the outdoor condenser unit, then trim them off in order to create clear space of at least two feet around the unit. Next: Next post: Are You Worth The Wait?